This website, http://www.broadmeadowvale.ie/ (the “Site”) is operated by Sherwood Homes (Ratoath) Ltd. , a company registered in Ireland with company number 549336 and registered office address of 7 The Courtyard, Carmanhall Road, Sandyford, Dublin 18 (the “Company”, “us”, “we” or “our”). This Privacy Statement (together with our Cookies Policy (http://www.broadmeadowvale.ie/cookie-policy/) sets out the basis on which we gather and use any personal data we collect from you, or that you provide to us by using this Site. Please read the following carefully to understand our views and practices regarding your personal data and how we will treat it.We are committed to protecting the privacy and personal data of users of the Site. We will use your personal data only for the purposes and in the manner set forth below which describes the steps we take to ensure our processing of your personal data is in compliance with the Data Protection Acts 1988 and 2003 (the “Acts”). By using this Site, you signify acceptance of this Privacy Statement and to our using and processing your personal information. If you do not agree with or you are not comfortable with any aspect of the Privacy Statement, PLEASE LEAVE THE SITE NOW. We reserve the right to modify this Privacy Statement at any time. Any changes to this Privacy Statement will be posted on the Site so you are always aware of what information we collect, how we use it, and under what circumstances, if any, we disclose it. Your continued use of any portion of the Site following notification or posting of such changes will constitute your acceptance of those changes. If at any time we decide to use your personal data in a manner significantly different from that stated in this Privacy Statement, or otherwise disclosed to you at the time it was collected, we will notify you by email, and you will have a choice as to whether or not we use your information in the new manner. In order to obtain access to information or services provided by us via the Site you may be required to provide personally identifiable information such as your name, postal address, e-mail address and telephone number. We may also collect and process demographic information such as preferences and interests. You can choose not to provide this information, however, you might not be able to gain access to our information and services. If you contact us for any reason, we may keep a record of the information you provide through the “Contact Us” function of the Site. We may also collect and process details of any transactions or usage you carry out through our Site and the fulfilment of orders. We may, from time to time, provide links to third party websites. In addition, third parties websites may also provide links to the Site. Should you choose to visit these third party websites, you should review their privacy statements to ensure you understand and are comfortable with their practices concerning your personal information. We do not accept, and we disclaim, any responsibility for the privacy statements and information protection practices of any third party website (whether or not such website is linked on or to the Site). These links are provided to you for convenience purposes only, and you access them at your own risk. It is your responsibility to check the third party website’s privacy statements before you submit any personal data to their websites. To notify you about changes to our Site, services or policies. The personal data that we collect from you may be transferred to, and stored at, a destination outside the European Economic Area (“EEA”), for the purposes described above. It may also be processed by staff operating outside the EEA who work for us or for one of our suppliers who act on our behalf. Such staff may be engaged in, among other things, the processing of your request for information and the provision of support services. By submitting your personal data, you agree to this transfer, storing or processing. We will take all steps reasonably necessary to ensure that your personal data is treated securely and in accordance with this Privacy Statement and the Acts. The security and confidentiality of your personal data is extremely important to us. As no data transmission over the Internet can be guaranteed as 100% secure, we cannot ensure or warrant the security of any information that you transmit to us and you transfer the personal data at your own risk. We endeavour to use and keep under review appropriate technical and organizational measures (including staff training and awareness) in order to protect against unauthorised or unlawful processing of your personal data, including unauthorised destruction, alteration or disclosure or access. We shall only hold personal data for as long as is necessary or as required by law. In the event that they are working directly on our behalf for a specified purpose. For the performance of services requested by you, including sales agents or business partners. If the Company or substantially all of its assets are acquired by a third party, in which case your personal data held by us may be included in the transferred assets (for example, in the form of a database of users of the Site). If we are under a duty to disclose or share your personal data in order to comply with any legal obligation or court order, or in order to enforce, establish, exercise or defend legal rights, the rights, property, or safety of you, us, our group, or employees. We may also provide non-personal data to third parties, where such information is combined with similar information of other users of our Site. For example, we might inform third parties regarding the number of unique users who visit our Site, the demographic breakdown of our community users of our Site, or the activities that visitors to our Site engage in while on our Site. The third parties to whom we may provide this information may include our website design, development and hosting contractors. It is your responsibility to ensure that any information you have provided to us is accurate and up-to-date. Questions, comments, requests and complaints regarding this Privacy Statement and the information we hold are welcome, please contact us at info@sherwoodgroup.ie or write to us at Sherwood Homes (Ratoath) Ltd., 2-4 Merville Road, Stillogran, Co Dublin, A94 E3F8. Please include details of any other information which may be collected other than that set out hereunder. Please include details of any other purposes for which data will be used other than those set out hereunder. To be considered: On the basis that the Company will be using information provided on the website for the purposes of direct marketing by email, user consent will be required. We have set out below some suggested wording for the purposes of obtaining user consent. The draft wording below only refers to the Company and it will be required to be amended if the Company wish to provide user details to others for direct marketing purposes (which I understand is not intended). This information should also be included on any page on which personal data may be collected. The draft wording below is only a suggestion and if the Company would prefer to use another means to collect the same preferences, we would be happy to review. Please tick here if you would like us to contact you by electronic means (e-mail or SMS) with information about goods and services which we feel may be of interest to you. Please tick here if you do not want us to contact you in any other way (including by post or telephone) with information about goods and services which we feel may be of interest to you. Joint agents for Broadmeadow Vale are Sherry Fitzgerald New Homes and Fitzgerald Hughes. 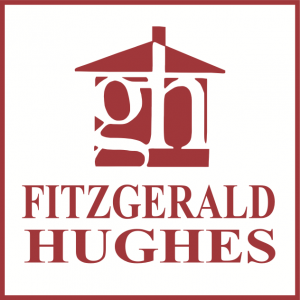 Contact Sherry Fitzgerald on 01 6671888 and Fitzgerald Hughes on 01 8027000.